18th century sailors killed by poisoned rum? The use of lead equipment in 18th century rum production may have contributed to the deaths of British sailors in the Caribbean think archaeologists. 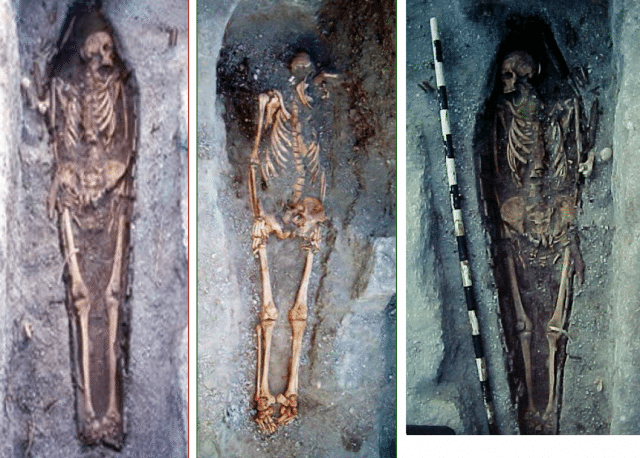 Recent examination of skeletons from the Royal Naval Hospital cemetery in Antigua showed extremely high levels of lead in the bones, possibly caused by the high levels of the metal in the sailors’ rum ration. A team from the Lakehead University in Ontario looked at the amount of lead in the bones of 17 adult males. Concentrations ranged between 13 and 336 parts per million (ppm). A ‘normal’ amount of lead would be anywhere between five and 30 ppm, while lead poisoning is typically anything over 80ppm. The leader of the team, professor Tamara Varney, told the Daily Mail that lead poisoning as a result of high doses in rum rations has previously been suggested as being a serious health issue for the Royal Navy in the 18th century. If the bodies came from the early 19th century then food stored in lead cans would be a likely suspect but the bodies in question date from the time of the French Revolution, just before canning came into widespread use in the Navy. Therefore, Varney suggests, lead equipment used in rum production and lead-lined water cisterns are likely the chief reasons for these elevated lead concentrations. At this time lead was used to make many things as it was a soft, easy to work material that was widely available. The ‘worms’ (condensation coils) and other parts of stills used to make rum during this period were often made of lead meaning trace amounts might have ended up in the final spirit. More directly, rain water would be collected in lead-lined cisterns which would lead to high amounts of the metal in drinking water, which was liable to quickly become stagnant too. Rum was given to the sailors as part of their daily ration (mixed with water and citrus juice) and in tropical regions like the Caribbean their ration was often augmented to help ward off diseases such as Yellow Fever, which ravaged the European garrisons stationed on the islands at the time. So serious were the epidemics that being sent to the Caribbean was often tantamount to a death sentence and the islands gained the grisly moniker of ‘the white man’s grave’. Many of the bones also showed high levels of mercury, which was, likewise, widely used as a medicine at the time as its dangerously high toxicity was not understood. Soldiers and sailors of the 18th century therefore were, unknowingly, being poisoned with heavy metals from both the cure and supposed preventative to the already lethal ailments surrounding them.